Whether you’re entertaining guests for the holidays or you’re trying to create the perfect game room/man cave, you may be trying to decide should you buy a used foosball table instead of going for a brand new one. You may even ask your significant other for their input since purchasing a new one of these bad boys could set you back a nice chunk of change. Today, we’re going to explore the wonderful (and budget-friendly!) 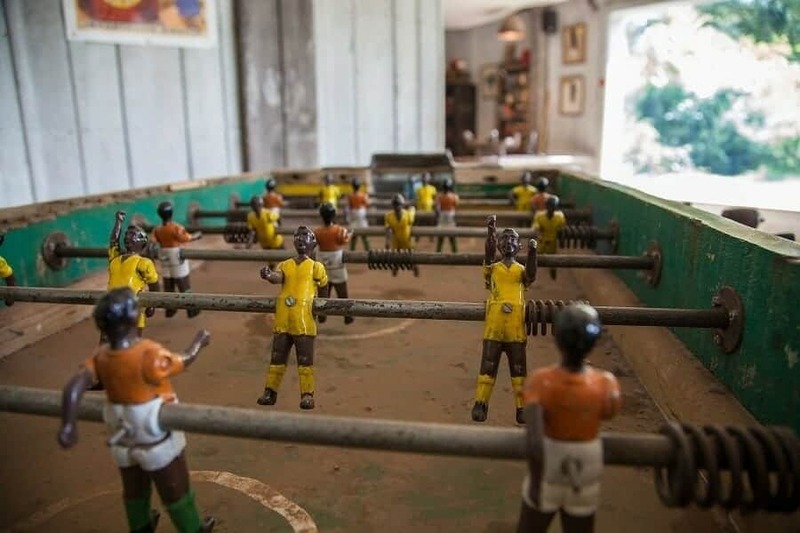 world of used foosball tables. We’re going to provide you with all the information you’ll need to decide if you should buy new or used. You may be surprised by what you learn! Many people enjoy having foosball tables in their homes because it’s a great game for people of all ages. When consumers are looking at foosball tables, they automatically head to their favorite gaming shop or sporting manufacturing company, depending on the size you want, the available features, and of course, your budget. New tables can run from $150 for a basic table, all the way up to several thousands of dollars if you want a top of the line, tournament level model. 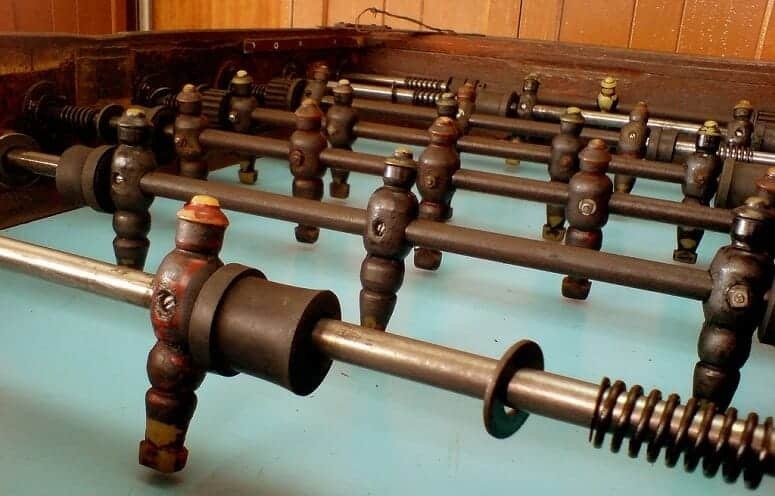 If you’re looking for an affordable option with a decent array of features, you can find a used foosball table for sale on eBay or Craigslist. You could also keep an eye out for used tables at yard sales, flea markets, and even thrift shops. There are quite a couple of very good reasons why people prefer used tables over brand new. Many times when people are looking to pick up a used foosball table, they can find one priced well under the retail price. If you’re a savvy shopper and negotiator, you could get a high quality table that is in excellent condition for a fraction of the price. Bonus: Sometimes you can call a distributer and ask if they have any used foosball tables for sale. These tables can be refinished so they look and play like it is brand new. The Internet makes it easy to buy just about everything, but there’s always an extra cost for shipping. By using second hand seller sites or even buying locally, all you have to do is go to the place and pick it up. It can be that easy. 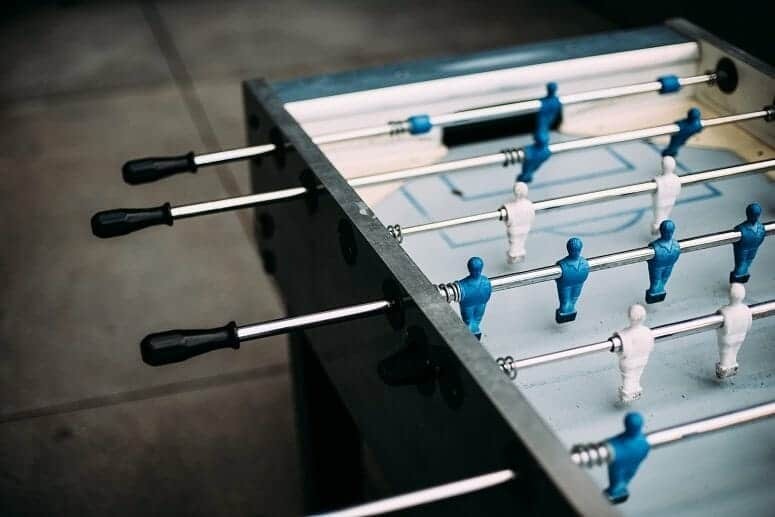 Even though buying a used foosball table is a great option if you’re on a budget, there are some drawbacks that you should be aware of before you bid on the cheapest used foosball table prices. Let’s take a look at the drawbacks, shall we? One of the main drawbacks of buying a used foosball table online is that pictures can be deceiving. There are some people out there who selling the table are posting actual photos of the table you’re going to buy, or if they’re posting pictures of a similar model or pictures from when they first set up the table. When you’re inquiring about a foosball table online, don’t be afraid to ask questions. Ask about the playing surface, the players and rods. If you’re able to find a seller in your area, ask if you can take a look at the table, and possibly even try it, before actually handing over the money. If the seller is reluctant to answer your questions or let you see/try the table, then we suggest that you opt to look elsewhere. The whole point of looking for used foosball tables is to find a great deal. Unfortunately, it can be difficult deciding if the condition of the table is worth the price you’re paying. Like anything else you shop for, you’ll want to do some research before paying. You can look at the original price of the table when purchased in store, look at the brand and types of tables too. Don’t forget to carefully read the seller’s description and look closely at the photographs to see if you’re comfortable paying the asking price. What Kind Of Foosball Tables Can I Choose From? As you start looking at listings for used foosball tables for sale, you should first decide what kind of table you want, as there are several different types to choose from. A standard foosball table is a full-sized gaming table that may require some assembly if the table is shipped to you. These types of tables usually remain in one place because they can be quite heavy. These tables can be made of solid wood or a combination of wood and particle board. The working parts of a high quality standard table will usually last a while if cared for properly. Table foosball tables are usually referred to as mini foosball tables because they’re much smaller than a standard. These are great for people who want to buy a used foosball table for their children, or for those who are short on space because you can store the tabletop table until you want to use it. Please note that these tables are made from plastic and they’re not built to last. If you’re looking to get the most bang for your buck, a combination game table is a great option. These tables can come with a variety of games. The most common combination tables will feature air hockey, foosball, and billiards. Keep in mind these tables are usually available in a full size, but you can find cheap table top versions if you’re working with a limited budget. 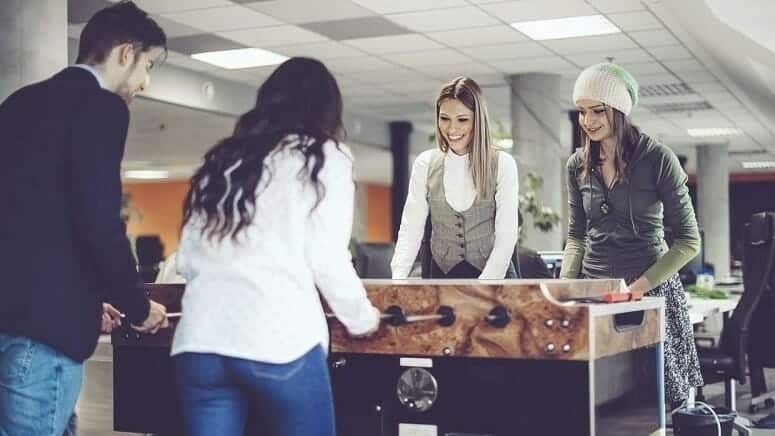 After you’ve taken into consideration what type of used foosball table you’d like to buy, you’ll want to learn more about the features that are available on foosball tables. Below, we are going to discuss the popular features found on many tables. Please keep in mind that the more features that you want your table to have will increase the price of your table. If you are interested in purchasing a standard sized foosball table, you’re going to need a space that’s at least 56-inches long and 30-inches wide with room to spare so that you can fully extend the rods for effective playing. We suggest having 7-feet by 8-feet of space for your new used foosball table. When you begin comparing foosball tables, you may notice that some tables will have only one goalie per side, while others will have a three-man configuration per side. Most tables in the United States will have a three-man set up whereas tables in the United Kingdom will have a single goalie set up. People who like fast paced games will find the three-man goalie configuration to be more fun. Three-man configurations are also the better option for novice foosball players and children. However, if you’re more interested in refining your foosball skills, then the one-man goalie configuration will be right up your alley. If you want to have the best table that’ll let you play like the pros, then you’ll want a foosball table with counter-weighted players. What’s the significance of a counter-weighted player, it’s pretty simple. Your players will stay in a horizontal position once you released the rod. This means that you can take your shot without worrying about your other players getting in the way. In short, counter-weighted players will give you a better game play. 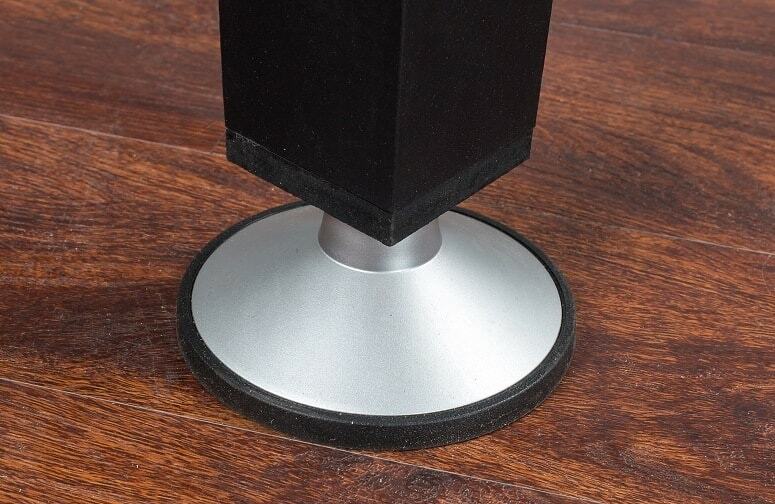 For a fair game, you’ll want to have a table that features table levelers. The levelers will prevent the table from leaning to either side, thus ensuring that the playing surface is completely flat. If there is only one thing you look for in a used foosball table, you should look for tables with hollow steel rods. The hollow rods will allow you to think on your toes and increase your speed as you play. Most higher end tables will almost always use hollow steel rods, but there are some mid-range and lower end tables that solid steel rods, which is perfectly fine and acceptable. The hollow rods are just lighter and faster. As you’re browsing through the listings of used foosball tables for sale, you’ll want to pay attention to what materials were used. You’ll come across solid wood tables, composite tables, particle board tables and plastic tables. You may even come across a combination of those materials. Now it should go without saying that the solid wood table is going to be the best option and the particle board or plastic tables are the least durable. If you live in a humid climate or intend to put the table in a humid room, wood and particle board tables may warp and buckle. When you’re reading through the product description, pay attention to the weight of the table. If it weighs less than 75 pounds, then there’s a high likelihood that it is made from particle board and you should steer clear. The surface of the foosball table should feature laminate designs instead of stick-on designs. This is because the stickers can peel and hinder game play. Also, make sure the table top is a smooth, hard surface because it will help your ball travel faster as you play. Many European tables feature solid wood table tops which causes the ball to move slower. Should You Buy A Used Foosball Table? After reading all this information, the question still remains: should you buy a used foosball table? It’s really up to you. There are a lot of great foosball tables currently on the market, as well as used tables where the owner has taken very good care of it. 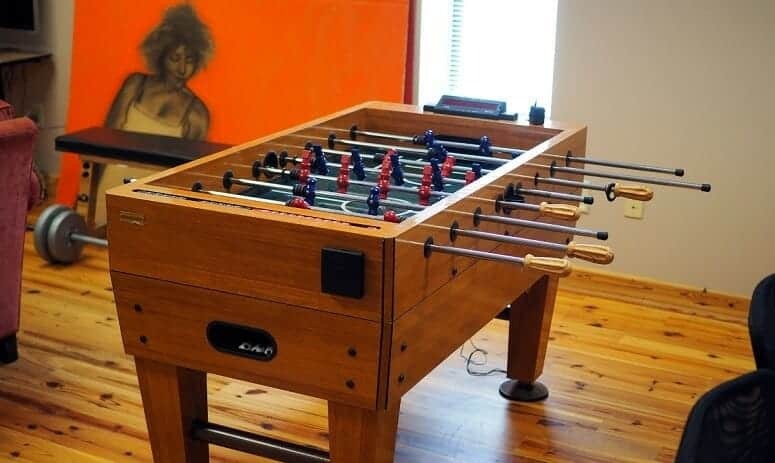 In our opinion, if you do go for a used foosball table, you should pay close attention to the listing. Read the details closely and pay attention to the photos. If you find someone locally that is selling their foosball table, ask if you can stop by and play with it before purchasing it. If the table you’re interested in doesn’t have any of these issues and you like the way it plays, then we fully recommend going for a used table. Any used foosball table will be a great addition to the family’s game room. Even if you’re not sure if your kids will play with it, a tabletop foosball table is a great option for those who are short on space and money. Should your family get a lot of use out of your used table, you could always consider investing in a new model that has all the bells and whistles. 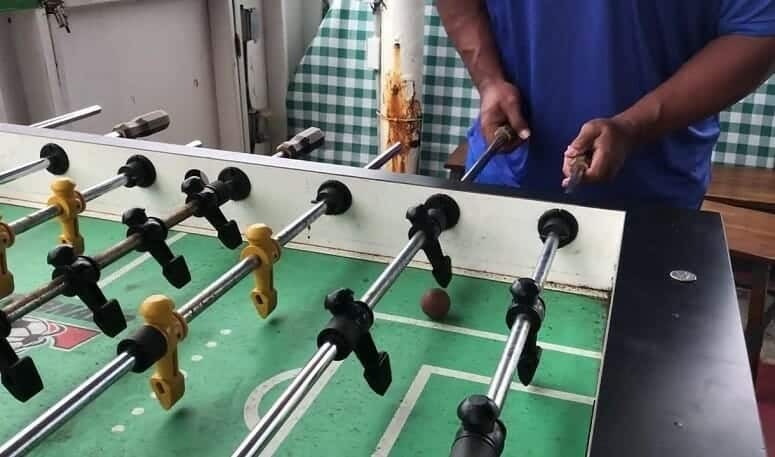 In the comments below, let us know how old you were when you first tried playing foosball. Also let us know what kind of foosball table you’re considering. We want to hear from you!